The seating area by the fish pond now has a connecting deck from the new addition. The new family room addition is complete. The existing outdoor dining area overlooking the fish pond now has a new deck leading from the new addition. 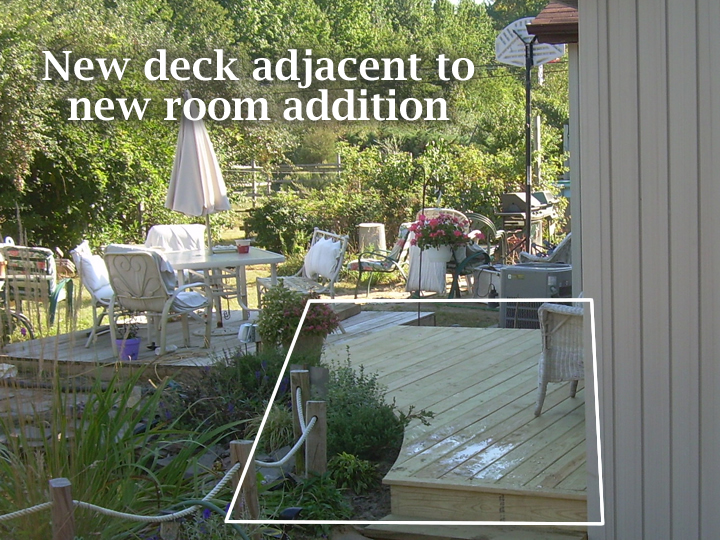 The deck continues around to the corner of the home.